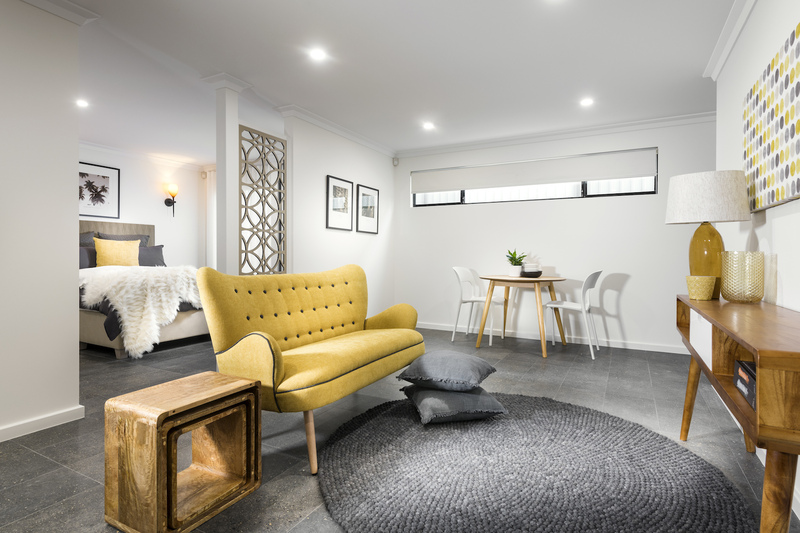 Considering modern liveability components, such as a self-contained studio or ancillary accommodation in your home design creates a range of additional opportunities for new home owners. Self-contained studios and ancillary accommodation add great financial value to the home, due to the income potential of the extra accommodation through Airbnb, short or long term accommodation for tenants and relations. Family and friends can also utilise the space and of course appreciate the alternative option of living that is available to them when they visit the home. This style of living has the ability to be effectively utilised in a metropolitan or rural setting. The extra space could simply be an extension off the back of the property with a private entrance and multiple living amenities such as a kitchenette, bedroom, ensuite and a living room. This could be great for teenagers or adult children that are wanting their own space and independence or for families that require a spare space for an elderly relative, while maintain privacy. 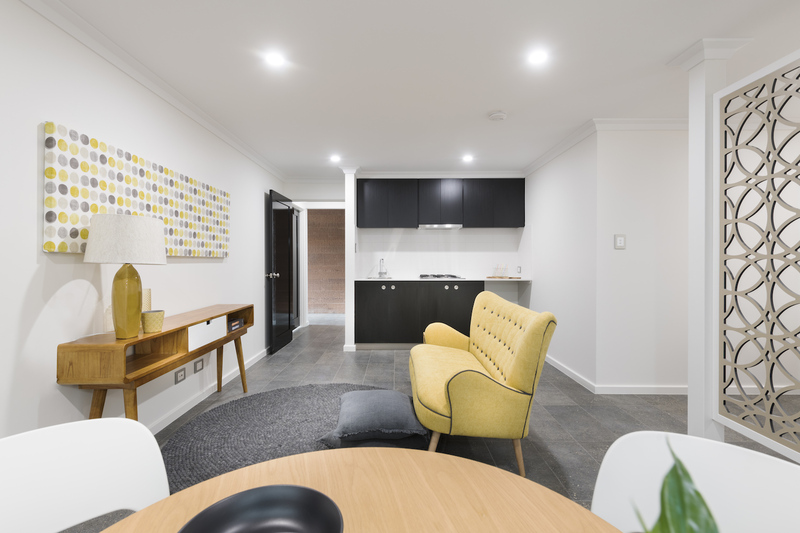 As seen in our Kalgan Contemporary home, a self-contained studio apartment space can easily be integrated into centre of the home giving family, friends or guests a private space to relax. They have the flexibility to come and go as they please, with a private entrance and will appreciate the separation and balanced privacy between the spaces. If you have additional block space and enjoy the idea of completely separate dwelling, then you should consider a detached option whereby a small building can be established in your backyard that could be rented out long term (given the size and amenities) or used as a short-term Airbnb property. The detached accommodation could also be used as a separate retreat by teenage or adult children. Enquire about our ancillary accommodation options if this is your desired option, which can be altered to suit other above forms if required. These 21stcentury liveability options create a range of opportunities for home owners and can be adapted to suit a number of different purposes or intended tenants.